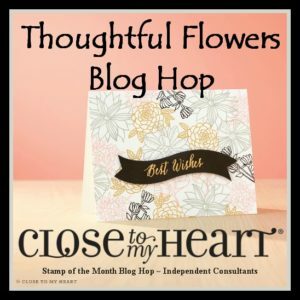 Welcome to the December Stamp of the Month Blog Hop! 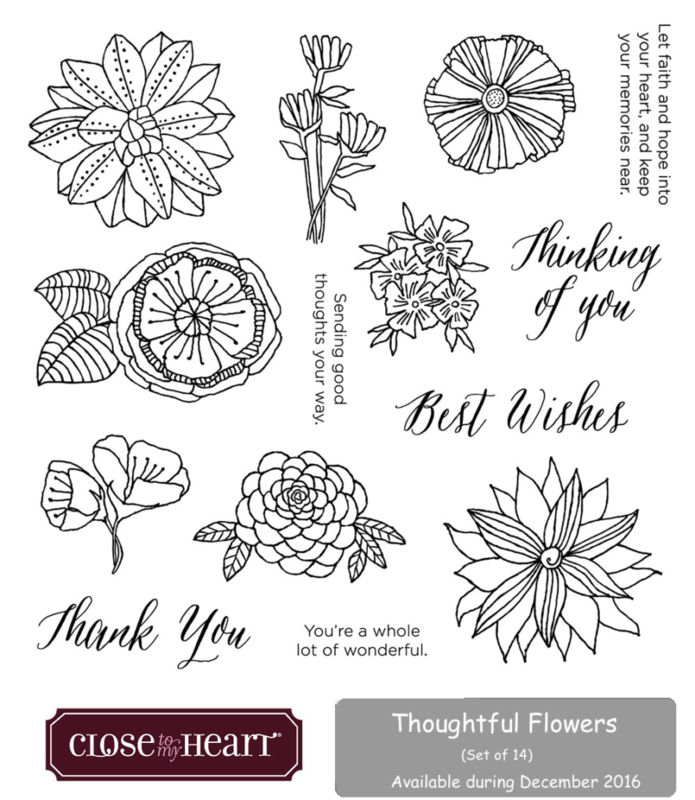 This month, we’re featuring the Thoughtful Flowers stamp of the month set. If you arrived here from Melinda’s If You Bling It blog, you’re on the right track. If you get lost along the way, you can find a complete list of hoppers here. 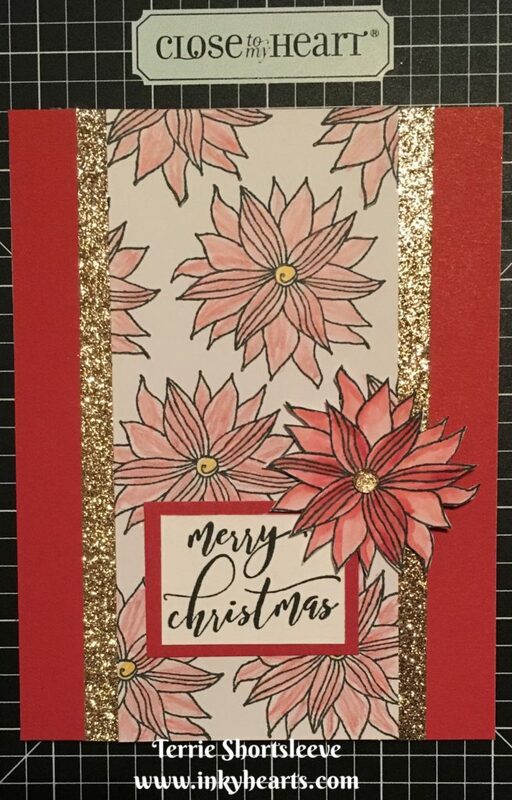 Because today is December 1st, I’m definitely in holiday mode, so when I looked at the stamp set, all I could see for the flower in the bottom right was a poinsettia! I love poinsettias and I cannot wait until we move back to the states so I can have them in my house next Christmas season. Here’s a close-up so you can see where I used the Thin 3-D Foam Tape to pop up the accent flower. 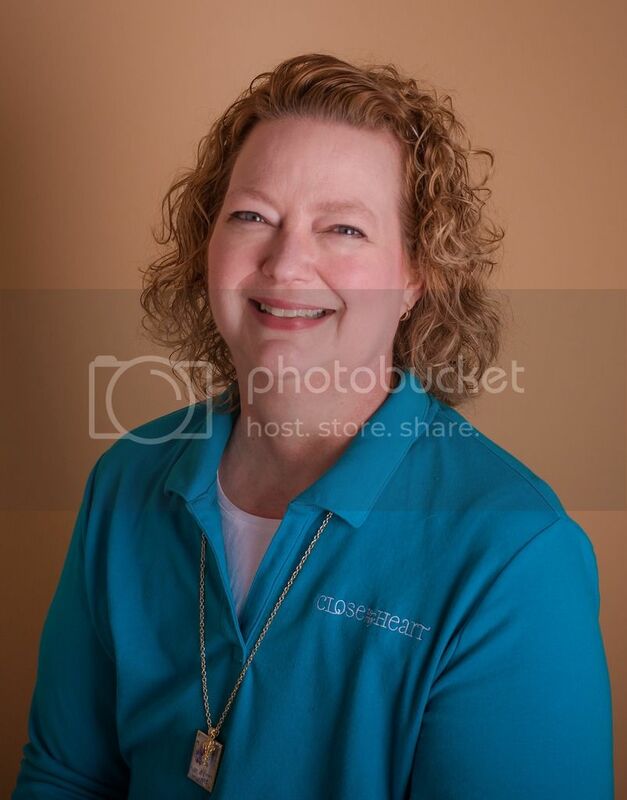 Now, hop on over to Jennifer’s JD Designs blog to see what she’s created for you. See you next month! Happy Holidays, everyone! What a beautiful Christmas card! Lovely! 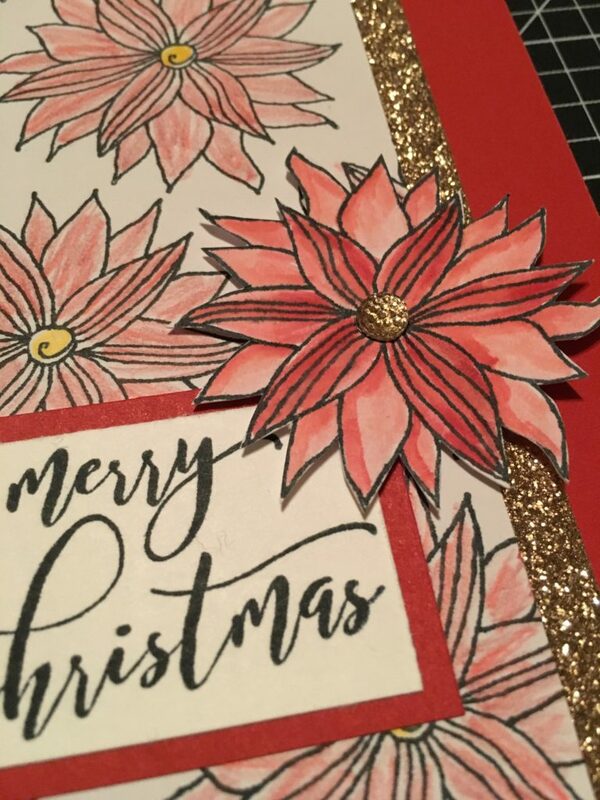 I love the random stamped flowers and the one for an accent. Beautiful center panel–I love how you matted it with gold glitter paper. Really elegant effect. Thanks for inspiring me today.